What Is Grana Padano Cheese? Grana Padano is a mild, crumbly cheese made from cow's milk. It originates in Italy, where it was first made by Cistercian monks from an abbey near Milan. It is similar to Parmesan cheese, and is used in many of the same ways. Cheese of this type--grana cheese--has been made in Italy since at least the 18th century. Cattle-rearing, milk production, and some aspects of cheese-making have changed since that time. In the 19th century, Italy created scientific institutes to study milk and cheese production; during this time, some cheese makers began using liquid rennet and thermometers to make cheese. In the 1920s, cheese makers began to form cooperatives. This cooperation eventually led to the creation of formal regulations for cheese and cheese making; in the 1950s Grana Padano was established as an individual cheese, distinct from Parmesan (Parmigiano). Grana Padano is a crumbly cheese, similar to Parmesan, and is used in similar ways. Grana Padano can be eaten on its own, as part of a cheese course. Mostly, however, the cheese is grated and used as an ingredient or garnish for other dishes, such as in pastas, soups and souffles. Grana Padano can also be shaved thin and used in dishes such as a zucchini carpaccio: layers of very thinly sliced zucchini covered with salt, lemon juice and olive oil, and sprinkled with cheese, fresh herbs and sometimes pine nuts. Today, the Consorzio per la Tutela del Formaggio Grana Padano oversees the quality and standards for Grana Padano. The cheese, by law, must be produced in a particular region of Italy (the Paduan plain) in order to be called Grana Padano. Indeed, in 1996, Grana Padano was awarded the D.O.P. (Denominazione d'Origine Protetta, or Denomination of Protected Origin) mark, which guarantees the authenticity, quality and origin of the cheese. True Grana Padano cheese, then, can be obtained outside Italy only by import. Grana Padano is available in Italian supermarkets, imported food and specialty markets, and some large grocery stores that carry a wide variety of cheeses. 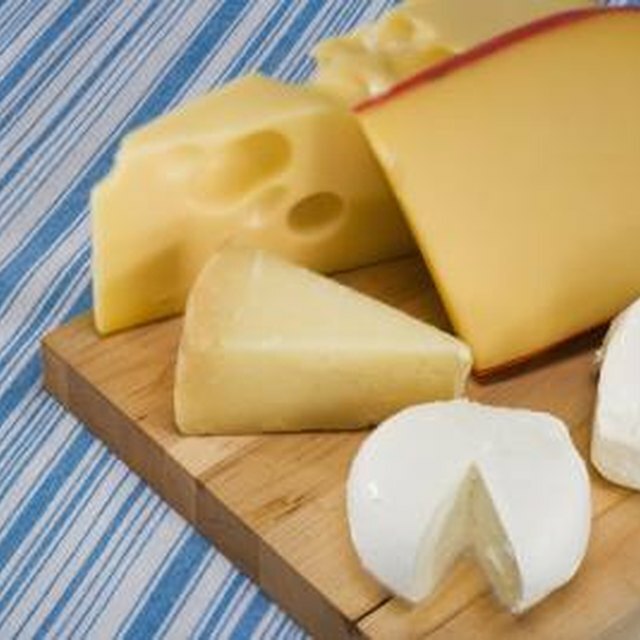 Grana Padano can also be ordered online from sources such as igourmet.com or gourmetfoodstore.com. For best results, you should buy the cheese in a wedge or chunk and grate it yourself.